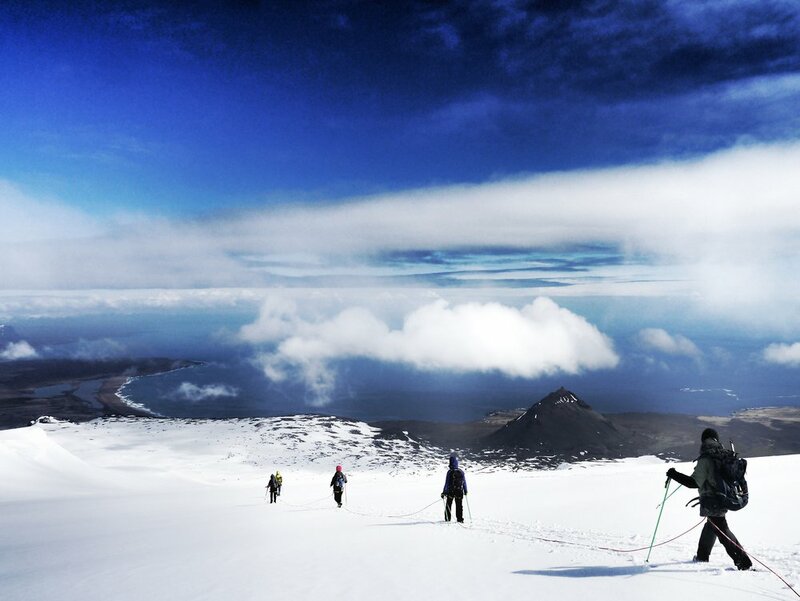 Known world wide as the entrance to the centre of our Earth, Snæfellsjökull glacier is a mystical place, featured in folklore, novels and providing the inspiration for artists throughout the centuries. Not only is the glacier beautiful but it sits on top of a dormant volcano, so when you hike to the summit you can tick off two items on your bucklist. 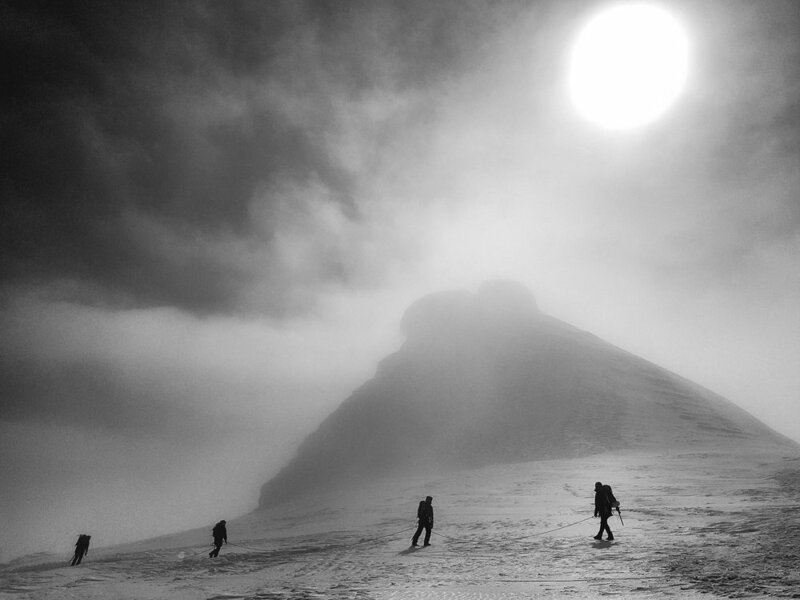 Working together as a team, using only the strength of our bodies and minds, we will hike together to the summit of Snæfellsjökull. Upon reaching the summit this natural way, you will be rewarded with an overwhelming sense of self-fulfillment and absolute triumph. ....Oh and the views over the entirety of the Snæfellsness peninsula, the Westfjords and Reykjavik City are not too bad either. All required glacier gear which includes Climbing harness, Crampons, Ice axe, Hiking sticks, Safety line. Transport to and from Arnarstapi (can be arranged from Reykjavik at extra cost). The price stated is per person for a minimum of 3 people joining the tour. If less than the minimum 3 bookings are received, it will be priced as a private guided tour (equal to 3 paying guests). - You can book and we will pay you back if we do not get the minimum paying persons. The same rule is for tours from Reykjavik. We need minimum 4 bookings for pickups and drop offs from Reykjavik. NB: Winter in Iceland can last from mid Oct. to mid April.